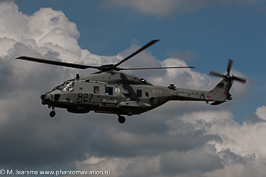 The NH90 helicopter is delivered in three variants: TTH (Tactical Transport Helicopter), NFH (NATO Frigate Helicopter) and the hybrid MTT (Maritime Tactical Transport). The MTT is based on the TTH variant incorporatinf features from the NFH including folding rotos and tail-boom and strenghthened undercarriage. 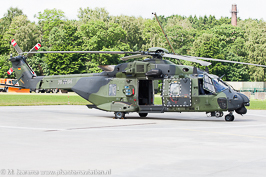 Individual deliveries are not made public by a press release therefore it's unknown which operators, except the countries who received all their ordered helicopters, recieved one or more NH90s. 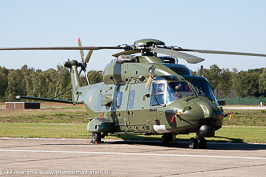 The 250th helicopter was delivered to the Italian Army who received a NH-90TTH, during the annual NH90 users conference held at Viterbo, Italy, on October 13, 2015. The 300th NH90 was delivered to the Spanish armed forces on December 15, 2016. 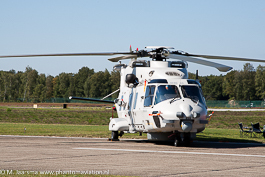 Will convert seven NH90's of its current order to NH90-MTT. 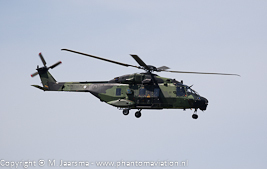 Will convert ten NH90's of its current order to NH90-MTT. 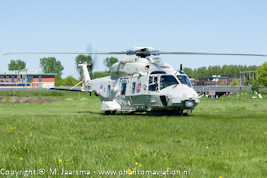 All its NH90-NFHs are delivered. The helicopters deliveries as Meaningful Operational Capable (MOC) are returned to the production plant for conversion to Full Operational Capability. On December 26, 2017 a NH90-TTH crashed, the two pilots were injured the other crewmember was killed in the accident. Contract signed during DIMDEX, Qatar’s biennial defence exhibition and announced by Airbus on March 14, 2018. 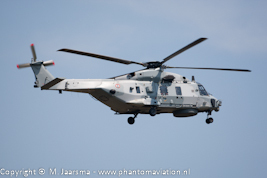 Helicopters will be build at Marignane, France (NH90-TTH) and Venice – Tessera, Italy (NH90-NFH). Originally its 18 NH90-TTHs would be divided between 13 SAR and 5 SAR/ASW versions but this was changed to a 9 each configuration. 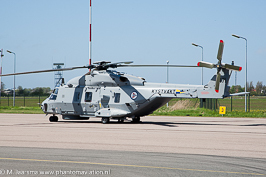 The NH90 is designated helicopter 14 (Hkp14) in Swedish service and will become Hkp14E (SAR) and Hkp14F (SAR/ASW).